As local Councillors, we have been enthusiastically promoting and supporting a campaign to ease the congestion at peak times at Sutton station and create an easier route into and out of the station for Sutton South residents by opening up the side entrance. We will continue to promote this campaign. Our latest proposal is that we will be preparing a bid under TfL’s “Major Schemes Funding”, for this scheme. The bids are required to be submitted to TfL in September, so we have started work on it and Council Leader Ruth Dombey wrote to Boris Johnson on 29 May to seek his support. We will consult with stakeholders as appropriate. The bid will be for a wider scheme to improve the area around the station, a “Major Scheme” bid. Opening up and staffing the station side entrance is a matter for Southern Rail so the Council will need to enter into an agreement with them to open it up. They agreed to this ‘in principle’ during the Outer London Fund bid preparation, when the Council submitted a well-researched bid for funding under the Mayor’s Outer London Fund to facilitate the opening of the side entrance at the station. Opening the side entrance would be of benefit to the many commuters and other travellers who live in South Sutton Ward, who could enter and leave the station by this entrance, leading directly into The Quadrant. A page on this site (“Ward Map”) leads you to a map of the Ward, which shows the importance of opening this entrance. 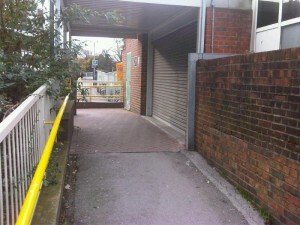 As rail travellers pass through the side entrance they would cross the boundary into Sutton South Ward. As Sutton South Ward Councillors we strongly support this bid, as the outcome would be of benefit to our residents. The Council wants to improve the “Gateway” into Sutton and the experience of those arriving in Sutton. Hence it wishes to improve Sutton station. The station is an important focal point for the town centre and the first impression that many visitors have of Sutton. It has been identified byTransport for London as a station that suffers from congestion problems due to its limited capacity in terms of the front entrance hall and ticket barriers. 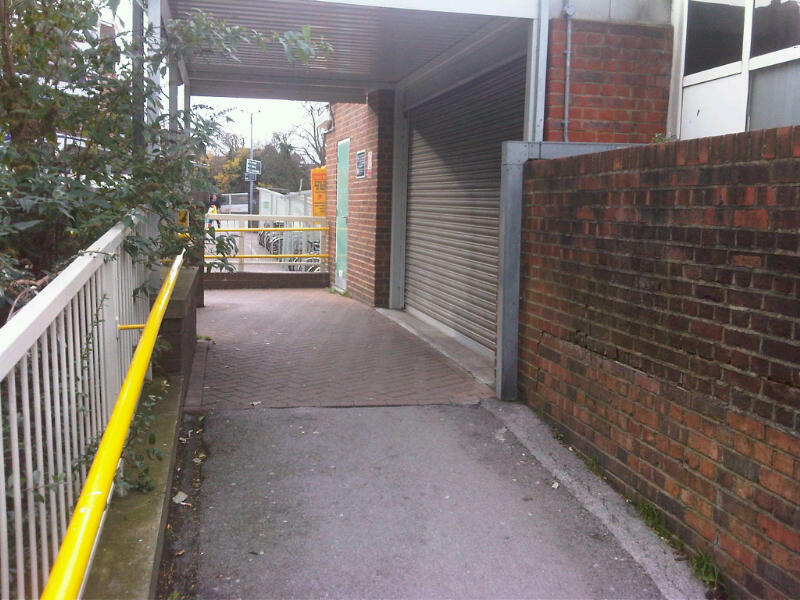 The Council continues to hope, in partnership with Southern Rail, to open the side entrance to the station for passenger use. In the longer term a more comprehensive re-development of the station is hoped for to expand and modernise passenger facilities and and enhance this important gateway and transport interchange. The side entrance at Sutton station would cater for the considerable demand for direct access to the station from the Quadrant House office block, which houses Reed Business Information (which has approximately 2 000 employess, many of whom travel to work by train) and a number of other companies. This office block and those who work there are an important contributor to the economic vitality of Sutton. Reed Business Information fully supported the bid. The new side entrance would also serve the station car park, motor cycle and cycle parking areas, which generate considerable demand for access from that side of the station. It would also serve all the residents of Sutton South Ward who approach the station via Wellesley Road from the Langley Park Road direction. Opening up the side entrance, which physically is already there, requires the installation of automatic ticket barriers with Oyster readers, a new ticket machine, associated lighting, signing, communication improvements and CCTV improvements. Staffing costs would be met by Southern Rail. It is accepted that the side entrance would probably not be open all day, but using the entrance could ease the congestion at the station if open during peak hours in the morning and evening. Despite this strong case, the Mayor refused to support the earlier Outer London Fund bid, although accepting other aspects of the Council’s bid for funding under that scheme. We are not giving up and are taking forward this further “Major Schemes Funding” option. Let us hope for eventual success, as this development will be of value to the residents of Sutton South Ward.